How Much Longer To Wait For Gambling Sites In Massachusetts? Looking at gambling sites in Massachusetts, the two states federally recognised tribes have worked for many years in the opening of gaming facilities on their tribal lands all under the watchful eye of the federal Indian Gaming Regulatory Act. The Wampanoag Tribe of Gay Head are looking to develop a small gaming site in Aquinnah located at Martha's Vineyard, and the Mashpee Wampanoag are hopeful of opening a land casino at Taunton. With the two tribes looking to develop gambling sites in Massachusetts, the Mashpee tribe initially gained federal recognition back in 2007. Referred to under the name of Project First Light, their casino's intended location would be what is now an industrial park, having actually applied to the federal government to make it sovereign tribal land. 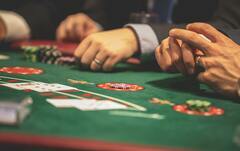 There are also a number of licensed and regulated online casinos that accept players from the region. This online casino directory offers new and exciting promotions to new players and can be used to play all of your favourite games in a safe and fair environment. Fining a licensed online casino could be difficult, so the website also offers comprehensive reviews for some of the most popular online casinos. The Aquinnah tribe declared their plans in 2013 for a Class ll gaming site in the midst of their reservation's unfinished community center. This met with the state suing so as to block the project, arguing that any gambling rights had already been rescinded by the tribe in a land settlement back in 1983, where it was agreed that the land would become subject to state law. The tribe countered in their defence that this agreement was actually eclipsed by the 1988 Indian Gaming Regulatory Act. As things stand under the Expanded Gaming Act which was passed in 2011, one 'slot parlor' and three casinos can be opened. 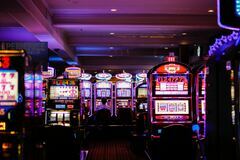 There has been a slot parlor that opened in June 2015 at the Plainridge Park Casino, and there's two casino resorts the Wynn Boston Harbor and the MGM Springfield, both currently under development. There is still the possibility that an additional casino license could be issued for the state's South-eastern region, however, the decision process has been put on ice due to the uncertainty of potential competition from the already planned Mashpee Wampanoag Casino. Developing gambling sites in Massachusetts, still seems to have its sticking points when it comes to what's allowable, hopefully, there'll be room for more than one winner and, perhaps one day, a few online casinos in the US. Copyright © 2019 | www.noeastiecasino.com | All rights reserved.